Starting with the Windows 10 Anniversary Update, Microsoft added the ability to use a Windows 10 PC as a wireless display to receive video from a phone, tablet, or another Windows 10 PC. 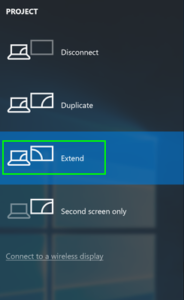 This includes the ability to use a second Windows 10 computer as an extended display for your main PC. You can actually use a Windows 10 tablet as a second monitor for your laptop when traveling. Wi-Fi network to which both devices must be connected will determine if the video transmission is reliable and responsive. The steps to set up the wireless display capabilities are simple. First, open the Action Center on your Windows 10 PC. It is the icon at the lower right of the screen. Then click Projecting to this PC. In the settings window that then appears, choose either “Available everywhere” or “Available everywhere on secure networks” depending on your security needs. Now, select “First time only” or “Every time” under “Ask to project to this PC.” Usually, it is safe to select “First time only” unless you have extraordinary security concerns. You also likely don’t need to enable “Require PIN for pairing” because you need to grant permission on the receiving computer in any event. 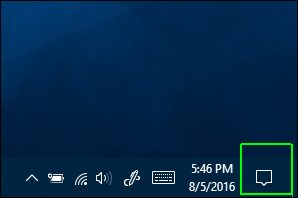 When Windows 10 alerts you that another device wants to project video to your PC, click Yes. Your PC or Windows tablet is now ready to be a second monitor for another Windows 10 PC. From the originating Windows 10 PC, start as you did before with the Action Center. 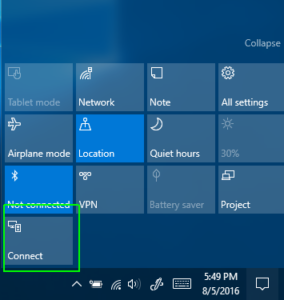 Click Connect, as you did on the receiving Windows 10 computer or tablet. 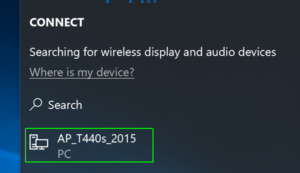 You should now be presented with a list of all available wireless display receiving devices, including the Windows 10 PC or tablet you enabled earlier. 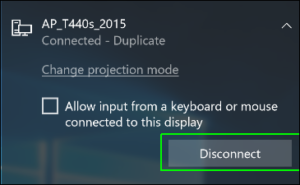 Now, click Click “Change projection mode” and select “Extend” top use the wireless display as a second desktop for you main Windows 10 PC. This will give you the productivity gains of a second monitor. That is all there is to it. Then when you want to end your wireless display session, click Disconnect.